ROAD TOWN, Tortola, VI - Commercial Pilot, Shaun D. Munro—formerly of BVI Airways—has disclosed even more sordid details of the internal operations of the company before it folded, including death threats, more illegalities and a deliberate attempt to run the company into the ground, in order to purchase it back at a reduced cost and free of debts. The claims are made in a sworn Affidavit filed in the Supreme Court of the State of New York, USA and accuses former Airline owner Luke Smith, of threatening to kill the company’s former Chief Executive Officer (CEO) Scott DeLacy, for allegedly embezzling money from the company, in addition to other personal grievances. Mr Munro in his sworn Affidavit, said too the former airline owner, Luke Smith, following the sale of the company, felt bogged down by the contract terms and had since earlier set about deliberately causing troubles, in order for the business to ‘crash’ so that he would be able to buy it back free of all liabilities. According to the Affidavit seen by our newsroom, Munro began working at the now defunct BVI Airways on June 30, 2013, and at the time was not FAA (Federal Aviation Authority) rated and as such could not legally fly in the Virgin Islands (VI), he would instead be tasked with preparing financial analysis, business plans and other such paperwork for the then airline owner, since at the time he was living at Mr Smith’s home. 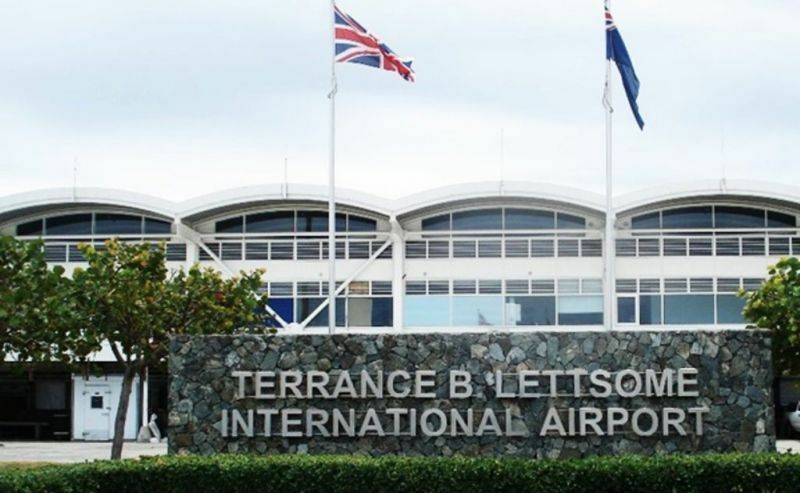 Speaking to his knowledge of the sale of the company and its transition of ownership from Smith, to Etico Capital, the pilot spoke of tale of ‘financial skullduggery’ and daring attempts at fooling the BVI Airports Authority. 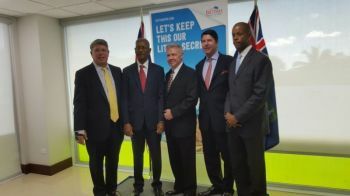 Speaking to the initial sale of majority ownership of BVI Airways from Smith to Etico Capital, the airline pilot—Munro—said in his affidavit, it was he who prepared the 17-page business plan for Smith to present to Jerry D. Willoughby and Scott A. Weisman—Etico Capital LLC’s principals. That initial meeting between Smith, Willoughby and Weisman occurred between August 1, 2013 and August 2, 2013. 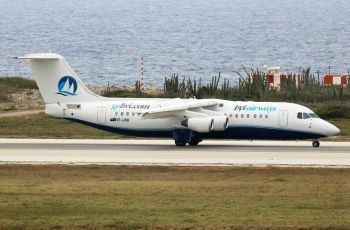 During the subsequent finalisation of the sale agreement of the majority of the interest in BVI Airways from Smith to the two Etico Capital businessmen—Willoughby and Weisman—the pilot in his affidavit claims that Smith then asked him to delete all his emails from his company email account from the time of the start up of the company in 2009 to the finalisation of the sale to Etico in 2014. According to the Pilot—Munro—he complied with the instructions but kept a copy of the ‘deleted mails’. In his Affidavit, Munro claims that following the sale, the then CEO was quickly replaced by Willoughby whom, Mr Smith called snidely, “Generalissimo” and then went about looking to cause problems within the organisation. Munro cited numerous examples in his Affidavit such as an incident, where a common airplane issue such as a faulty lighting would be made into a bigger problem, instead of being fixed since such items came under his portfolio. As it relates to the death threats within the organisation, Munro, in his sworn testimony claims that sometime around November 2013 as they were preparing to sell to Etico Capital—Willoughby and Weisman—he had requested the company’s Financials to prepare the presentations. According to Munro, the Financials were supplied to him by the Company’s, then CEO, Scott DeLacy but only after passing through Smith first. 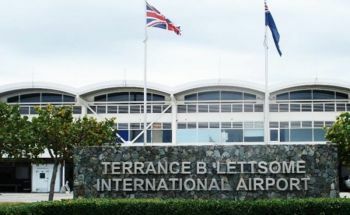 He claims that in analyzing the figures, they did not correspond with Mr Smith’s claims and that that BVI Airways’ debts were in fact greater than alluded to and that working operating capital—cash in hand or bank—was lacking. Munro said when the state of affairs was brought to the attention of Mr Smith, “he became very agitated, as if this was news to him. Munro claims that Smith even blamed his CEO, for his inability to be able to visit his family in the United States of America. 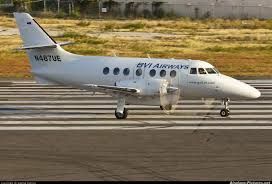 Speaking more to illegal practices condoned at BVI Airways, Mr Munro at one point accused Mr Smith of deceiving the BVI Airports Authority on a regular basis when landing. NDP gave 7.2 million dollars to a bunch of clowns. Did you see the sign in the background of one of the photos. "LETS KEEP THIS OUR LITTLE SECRET"
If a crime was committed by the Government, it was one of incompetence. Government in the sunshine has become "Government blinded by the sunlight". Long and short of the whole thing is OUR government allowed themselves and the BVI to be scammed JUST LIKE DAT. Information is out there and if they had told the public who the owners of BVI Airways are in the early stage, the public would have done their homework and find all of this out. But no, like everything else, it was a secret. Now look. You know what 7 million dollars is and how hard people have to work for the BVI to reap this kind of revenue. I am calling on Foreign and Commonwealth, FBI, Scotland Yard, RVI Police to lock up from the Premier, the AG and everybody who had a hand in this dutty deal. Enough is enough and a strong message need to be sent. yet they claim there is no corruption. What on earth is this then? There are a lot of them with a hand in this that need locking up!! Don’t forget Tourism Chair FS!! OMG! What has the BVI gotten into.....Murder, embezzlement, espionage, this sounds like a bad movie. Yes scammed, and the Government want to let the Chinesse in so we can get scammed JUST LIKE DAT again except they will not want to leave. Wow! WoW! This is only one scenario that we are now finding out about how many more are there. You telling me no one will get lockup for this what is going on in Little BVI. Come on if it was a Government Employee they was have gone jail. they are no Different. heads are gonna roll when it all comes out. Gave away money to an airline that had already skipped the country owing $100,000.00 (?) to our airport in fees.”due dilligence” my a** !!! What a twisted tory. The Premier and.gang were scammed out of $7.2M taxpayer money; they exercised extremely poor stewardship and fiduciary responsibility. It seemed as though no due diligence was done. Incompetence at its worst . Nonetheless, though the $7.2M is gone, the taxpayers need to be made whole. The taxpayers need a full account of what happened to its $7.2M from the Premier, the decider-in-chief. This cannot be swept under the rug; government should be allowed to run out the clock. This need to be investigated by an independent agency and if any laws were infracted, the guilty party should have their day in court (due process). This is such an egregious action that perhaps the responsible parties should be banned from holding political office. @PO, boi you hard. Banned from holding office. Wow! Just suppose the Scam had played out and the plane was in the air with passangers from Tortola to Miami then the s**t blew up. @Just saying, good point, with all thé drama comming out about the plané, That could have happened. 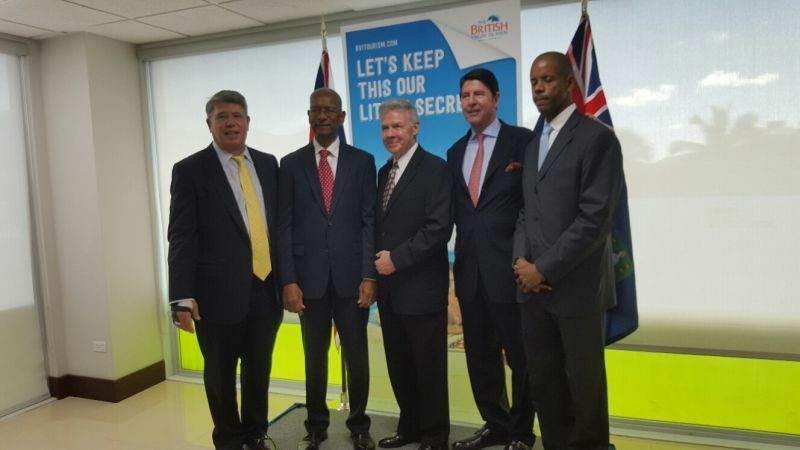 If the Premier and all those involved had any sort of balls they would stand up and refund the BVI out of their own pockets for their personal failures. NDP shouldn’t be allowed to stand for government until these this is done. And if the planes flew would you ask for them to be compensated? Simpleton! More s**t is going to hit the fan. Man Doc what the heck you got caught up in. we don't care bout no anasi story our treasury is 7.2 mill short bring our money back. no excuse is worth our loss. trying to fool and cool us .our stacks or jail choose!!! This is what happens when u think u know it all and don't involve people in the decision process. See it all the time in government: Directives come down from a ministry and u r not allowed to ask any question even when u know that it doesn't make sense. When VIP was in power you all ask for a change Well the change is here deal with it. I saw this coming a very long time ago it was just a matter of time. What was NDP theme song again? Oh i remember. I can see clearly now the rain is gone, i can see all the obstacle in myway, it's gonna be a bright bright sun shinnyy day. Look all around me there is nothing but blue sky finish it up yall. Hmmmmm Doctors must be in their office and hospital taking care of their patient being a premiere was not his calling. God called him to be a Doctor. But who called him to do other wise? FOOD FOR THOUGHTS. When (some) PEOPLE approach you about a proposed deal remember 3 things. They are lying. They are liars. They tell untruths. FACTS.